Tuberculosis, a bacterial infection primarily of the lungs that leads to wasting and respiratory distress, has been feared throughout human history and remains so today. It is responsible for the deaths of more people than any other single infectious disease. According to the World Health Organization, globally more than 10 million people become sick with tuberculosis each year and one in six will die from the infection. In addition to those with active disease, more than a quarter of the global population is estimated to be infected with the bacterium but maintain it in a dormant state. This latent infection can convert to active disease if immune function declines due to advanced age or HIV infection. From 1884, when he established the first laboratory in the United States dedicated to research on tuberculosis, Dr. Edward Livingston Trudeau and his protégés pioneered treatment of the dread disease, culminating in antibiotic treatments that led to a cure by the 1950s. This cure, however, has remained lengthy and complex, requiring a minimum of six months of treatment on four different potentially toxic drugs. In much of the world, this treatment is challenging to deliver properly, and incomplete treatment can lead to the emergence of drug-resistant strains. Infections with these drug-resistant strains, now comprising over five percent of new cases, can require over two years to treat with treatment failing in nearly half of cases. In order to turn the tide of the tuberculosis pandemic we must develop new treatments that can effectively eliminate multi-drug resistant bacteria and reduce the treatment time and complexity. Trudeau scientists are making use of recent developments in our understanding of how tuberculosis bacteria are able to grow and survive in the lungs in order to identify novel treatments to more quickly cure the disease. They are employing new techniques involving genetic manipulation of the bacterium, imaging of the infection within the lungs, computational modeling of protein-drug interactions, whole genome sequencing, and measuring the metabolic state of the bacterium to reveal vulnerabilities that can be exploited in the search for improved treatments. Each year, five- to 20-percent of Americans contract influenza. According to the Journal of the American Medical Association, more than 200,000 Americans are hospitalized annually with the flu, and approximately a quarter of a million people in the industrialized world die from flu or flu-related complications, such as bacterial pneumonia. Yearly influenza epidemics can seriously affect all age groups, but those at highest risk of complications include children under the age of two and adults 65 or older. As occurred during the 1918 pandemic, and again with the H1N1 pandemic in 2009-10, influenza can also strike healthy people during their prime. Predicting which individuals will be most at risk from one strain or another has been, to date, unsuccessful. As is the case with many viruses, vaccination is considered the most effective way to protect people from contracting the flu. Current vaccines stimulate production of antibodies that target the “outer coat” of the virus. Since the outer coat of influenza viruses varies among strains and is continuously changing, a vaccine produced against one strain will be less effective or ineffective against other strains. This is highly problematic, because multiple strains circulate in the population each flu season, and new strains are continually emerging. Indeed, as seen with H1N1, a flu outbreak can quickly become a pandemic, causing health professionals to scramble to design and produce a new vaccine and then deliver it to the public, a process which can take six to nine months, or longer. Trudeau scientists are making important contributions to research toward the ultimate goal of developing a “universal’ Influenza vaccine that protects against most or all strains of seasonal or pandemic Influenza. Their innovative approach involves designing a vaccine that targets the parts of the virus that are stable, including the unchanging parts of the outer surface proteins as well as the “inner parts” of the virus core. By training both B and T cells to recognize the stable outer and inner parts of the virus respectively, Trudeau researchers aim to harness the immune system's full power to prevent influenza illness and the many deaths attributed to complications from the disease. Known as one of the leading causes of deaths in hospitals worldwide, sepsis is a common ending for patients with pneumonia, cancer, heart disease, and HIV. It is also responsible for the lethality of many hospital-acquired infections such as multi-drug resistant MRSA (methicillin-resistant Staphylococcus aureus), which claims the lives of relatively young and healthy individuals. During sepsis, which refers to a systemic poisoning of the blood as a result of infection or advanced disease, toxins invade the bloodstream, and multiple organs, such as the heart, lungs and kidneys, begin to fail. Understanding the underlying causes of sepsis is critical to developing effective means of intervention. Aberrant blood clotting contributes to death from sepsis. Our investigators have shown that clotting normally helps prevent bleeding as infected cells are killed and removed from the body. During sepsis, however, clotting often goes into overdrive, exacerbating inflammation and depriving tissues of necessary nutrients and oxygen. In some situations, such as during infection by Ebola virus, the clotting system can also exhaust itself, resulting in a failure to clot. Understanding the mechanisms that regulate the body’s clotting system could also impact the effectiveness of transplant surgeries, since transplant rejection often is associated with excessive activation of the blood-clotting system. 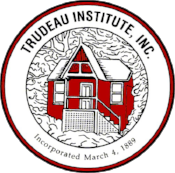 Research performed at Trudeau Institute has identified several clotting proteins that appear to be abnormally active during sepsis. Using research models, our scientists are interfering with these proteins (tamping down their activity) to see if normal clotting can be restored. If so, these proteins should provide good entry points for the development of drugs to inhibit clotting during sepsis in human patients. The main immune correlate of protection by which current licensed vaccines are thought to function are pathogen-specific antibodies that circulate in the bloodstream. while these "antibody-based" vaccine technologies have proven effective against a number of infectious diseased, they are ineffective when used to combat many others, including tuberculosis, herpes and plague. Trudeau’s first Director, Dr. George B. Mackaness, is widely credited with the discovery that another component of the immune system - the cellular immune response - provides an alternative means by which vaccination can combat infectious disease. It is now widely acknowledged that vaccines that stimulate cellular immunity offer tremendous promise. A number of Trudeau Institute scientists are striving to fulfill that promise. We have developed vaccine models of influenza, tuberculosis, bacterial pneumonia, herpes, plague, listeriosis, and toxoplasmosis in which cellular immunity confers mice with durable protection. Using these models, we are studying the mechanisms that regulate cellular immune responses and determining how to elicit potent, protective and durable cellular immunity. Trudeau Institute’s faculty includes many specialists with expertise in pulmonary immunity. We study a number of pathogens that infect the lung and four of the world’s most deadly pulmonary diseases - influenza, tuberculosis, pneumonia and plague. Our many scientific contributions in this area have provided vast new information about how the immune system combats pulmonary infections. Now, we are using that knowledge to develop vaccines that selectively eradicate pulmonary pathogens without eliciting collateral pathology. 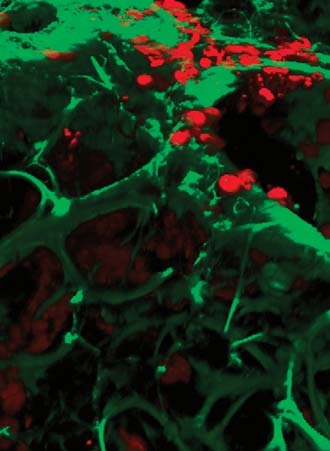 Specifically, we are studying the cellular and humoral mechanisms used by immunity to combat pulmonary pathogens, and working to identify pathogen components that induce the most protective immunological memory. In parallel, we are working to develop therapeutic regimens that confer protection within moments of administration, thereby providing defense when infection has already occurred, or when exposure is suspected. Recent advances in functional genomics methods, including the development of specialized transduction systems for high-throughput construction of uniquely tagged mutants, produced detailed information on the roles of individual bacterial genes in the functioning of pathogens. In the case of Mycobacterium tuberculosis, about 700 genes (out of approximately 4,000) are identified as essential for bacterial growth. As only a dozen of these genes are targeted by existing drugs, these advances create an unprecedented opportunity for development of novel therapeutic agents active against bacteria resistant to drugs in current clinical use. The objective of computational chemogenomics at Trudeau Institute is to make effective use of these genomic findings to identify small molecule probes, tool compounds, leads for optimization, and drug candidates for clinical development. As mechanisms of action and spectrum of activities of many experimental and approved drugs are not fully understood, we employ methods of structural bioinformatics, chemoinformatics, and 3D molecular modeling to analyze large competitive intelligence databases of drugs developed by the biopharmaceutical industry for various indications over the last 50 years, aiming to identify clinically safe molecules with previously unappreciated activity against pathogens of interest. Immunity declines with aging, resulting in greater susceptibility to infection and reduced ability to respond to vaccination. Importantly, the elderly respond poorly to annual influenza vaccines, resulting in substantial morbidity and mortality associated with influenza infection. Trudeau Institute scientists are working to understand the age-associated decline in immunity in order to enhance the responsiveness of the elderly to influenza vaccines, taking advantage of our extensive colony of aged mice. In order to enhance the relevance of the aged mouse pre-clinical model, mice are deliberately infected with multiple pathogens as they age to more closely reflect the human condition of exposure to many infections during their lifetime. Recent Trudeau pre-clinical advances include identifying novel adjuvants that enhance protection against influenza by vaccination, and dissection of mechanisms underlying the enhanced response. These studies will promote the development of improved vaccines that will be effective in elderly humans.